SNG PHARMACY is conveniently located at the corner of Westheimer road and Westheimer parkway as you go west of Houston. It can also be easily accessible through the corner of Richmond avenue and Westheimer road. SNG Pharmacy opened its doors in 2018 as a full service, independent retail and compounding pharmacy. Our Pharmacists have over ten years of varied cognate experience working for chains and independents. As a community pharmacy we work closely with our patients and prescribers and take a great pride in providing personalized and professional services that meets their needs. We leverage on our years of committed experience in retail and compounding in providing high quality and exact medications for our patients and their pets. We provide a safe, accurate and secure long-term prescription medication services to nursing home-care and assisted living patients. 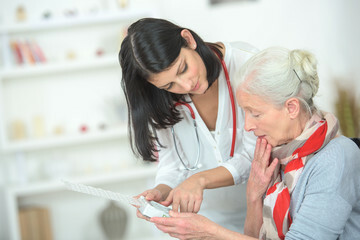 To ensure effective medication compliance especially with the elderly, we specialize in packaging medications in blister cards in different doses so as to eliminate dosage errors thereby increasing patients compliance.